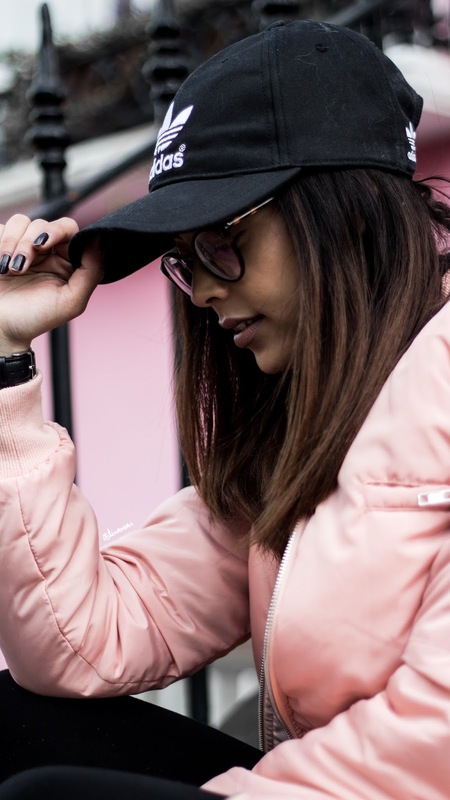 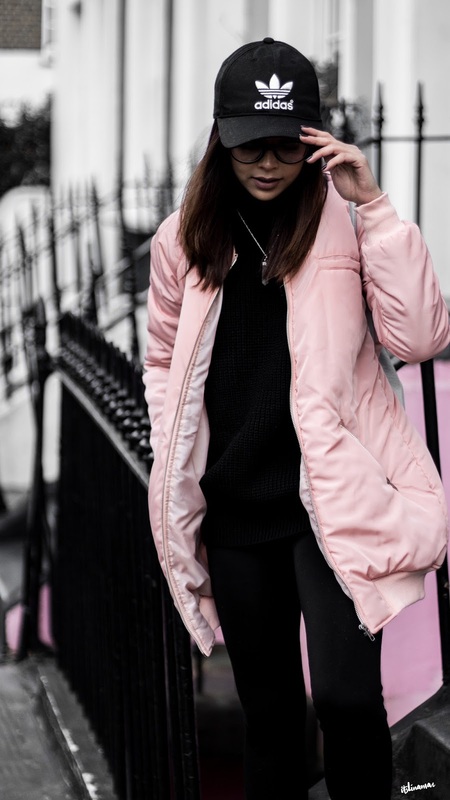 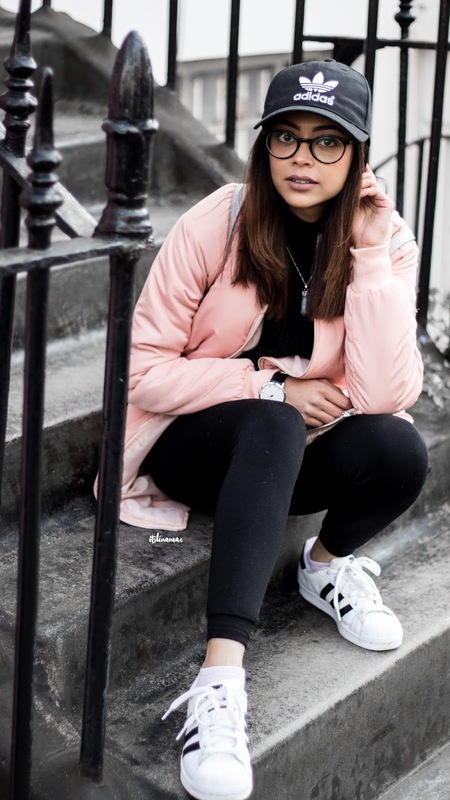 OOTD | PINK HOUSE, PINK BOMBER | itslinamar - A blog about beauty, fashion, travel and lifestyle. 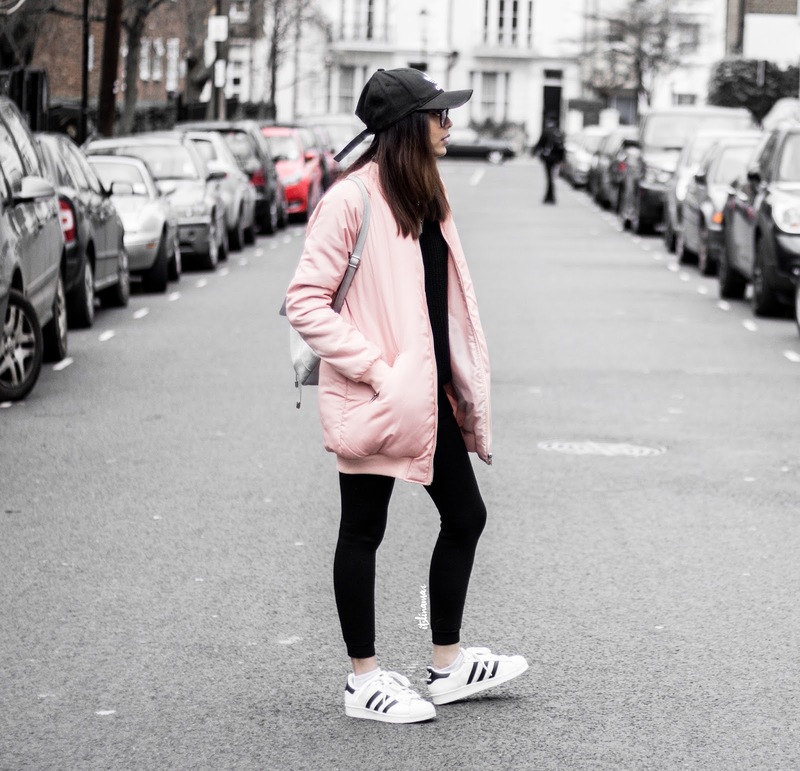 I was unsure of the length of this jacket at first but once on and styled up, I absolutely adore it. 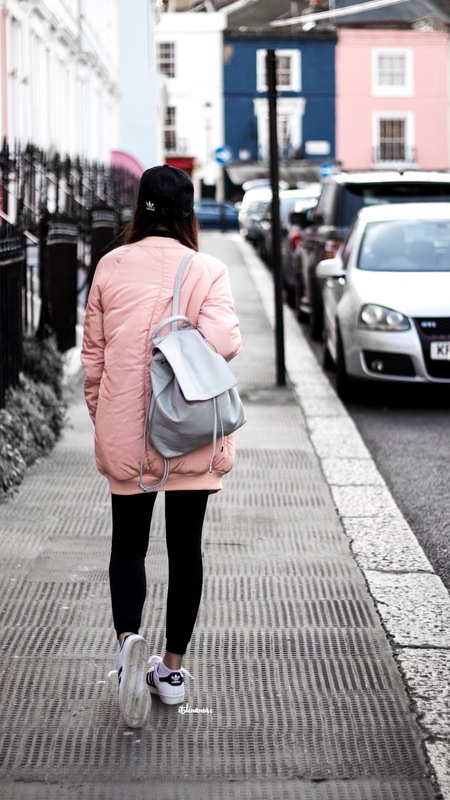 Not only is it in my fave colour but it's so warm, perfect jacket for UK weather! 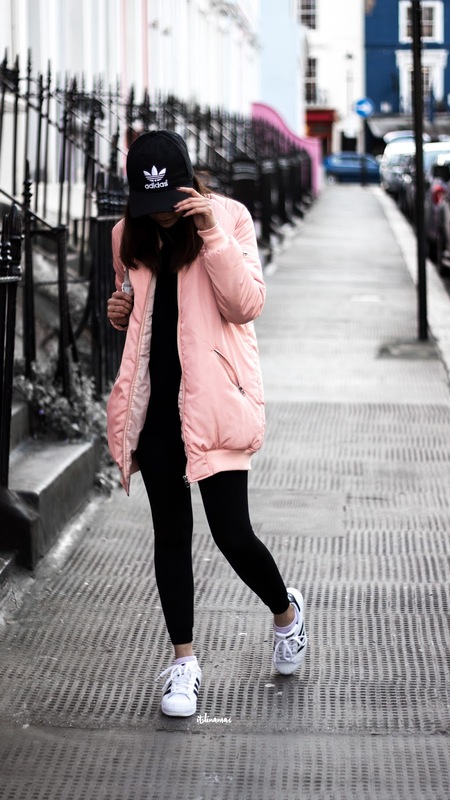 Keeping the outfit underneath very simple, it makes the jacket and Adidas accessories stand out. 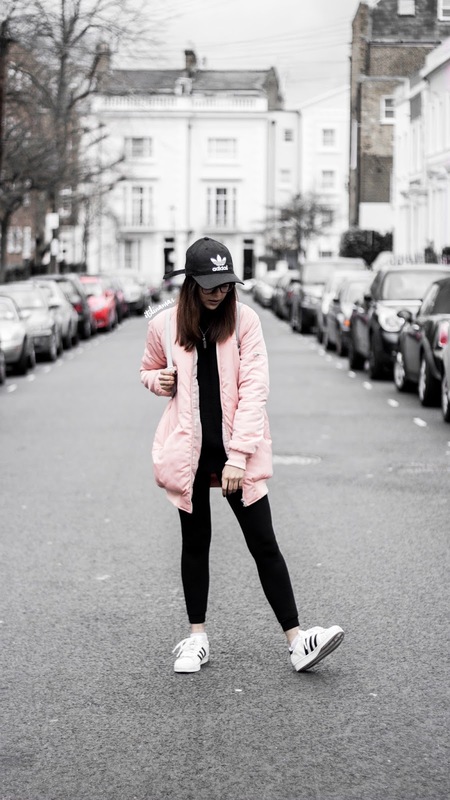 I'm currently lusting after all things Adidas. 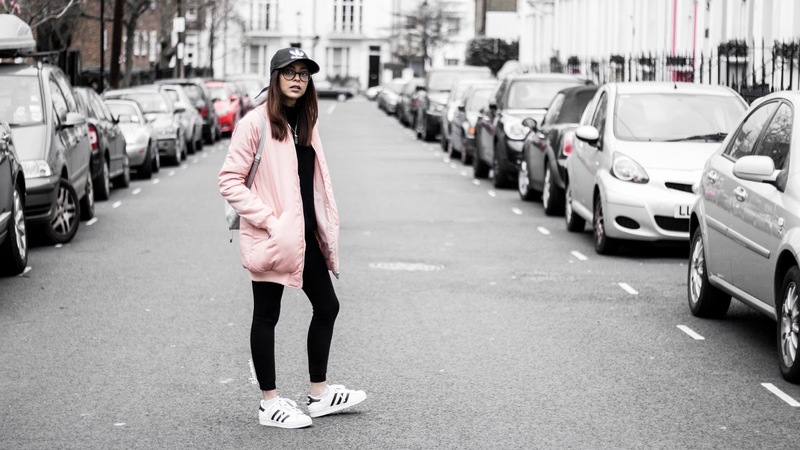 So stay tuned for more sportswear inspired outfits!